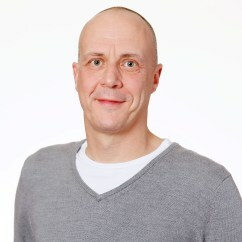 Tim is a mid-career academic with over 20 years of research experience prior to joining Middlesex Business School from the University of Birmingham in September 2013. His research is broadly focused on issues of governance, identity and leadership, and he publishes widely in highly-ranked academic journals in each of these topic areas within the disciplines of Sociology, Public Policy, and Organisational Studies. He has held Research Grants from the Economic and Social Research Council (ESRC), National Institute for Heath Research (NIHR) and National Audit Office (NAO) amongst many others. Research methodology, Critical Management Studies, Governance, Leadership and identity. Tim is an experienced doctoral supervisor and keen to take on additional doctoral candidates in any of these areas. Robinson, S; Freeman, T; Dickinson, H; and Williams, I. 14th IRSPM conference April 2010 (Berne): Paper presentation: 'Priority-setting, commissioning and governmentality: A case of 'clinician, manage thyself'? Do Hospital Boards matter for better, safer, patient care?